Researchers from the departments of physiolohy & medicine at New York medical college, Valhella describe brain fog “an interaction of physiological, cognitive, and perceptual factors.” It’s likely that brain fog is rooted in a lifestyle that promotes inflammation and hormonal imbalances — and is exacerbated by stress. Unable to concentrate for more than short periods – short attention span and easily distracted. Some causes of Brain fog could be due to a nutrient deficiency, a sugar overload or sleep deprivation. It is not a feeling of level headed calm, optimistic and motivated state.Physical pulling on the brain and brain stem causes brain fog. 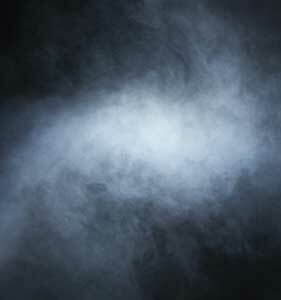 What causes brain fog from a structural perspective? Although more research is required research has been shown, that nerves that are pulled effects the function of the nerve signal (not the pinching of the nerves but the stretching of the nerves that can cause pain and other nerve problems – Adult Tethered Cord Syndrome by the neurosurgeon Yamada. This mechanical basis and stretch on the spinal cord and brain­stem has not responded to treatment using medication or exercise. By the way, if you have ever received a therapy and your head felt a bit fuzzy or felt a bit dreamy, even from a massage, this is a form of brain fog. Whatever they did increased the stretch on your brain and brain stem and partially knocked you out or you would not have that feeling. Structural correction done properly will leave you upright with no effort, as best as your body can be at that time. We call it UP, BRIGHT and ALERT. If you are not UP, BRIGHT and ALERT after your visit. Body mechan­i­cal prob­lems are corrected by reducing the tension off the brain, brain­stem and spinal cord in the same process that has the people in the pictures you see on this site standing with effortless upright posture. See for yourself how Brain Fog can be reduced to the point that people starting the treatment report clearer thinking, less tension from the first treatment.